Here’s a cool video of L.A artist Meiko performing “Stuck on You” for an At: Guitar Center with Nic Harcourt podcast. Some fun facts about Meiko: before she broke out, she worked as as a waitress at L.A.’s famed songwriter’s venue Hotel Café, and she was able to license every song on her 2008 debut album to film and TV shows. 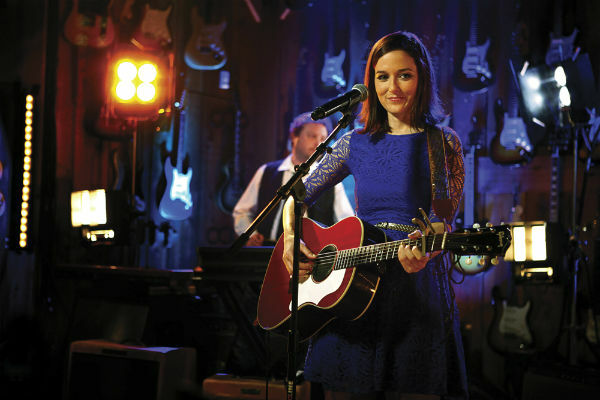 “Stuck On You” was the first official love song I’d written,” Meiko tells us. “It was at the beginning of being ‘googly in love’. When I play it live, I can’t help but feel the way I felt when I wrote it. Such a good feeling!” Awww. Hear more songs from the episode and an interview here.